That’s a great photo, Mike! After reading the post to Benjamin, I enlarged the photo and it becomes quite breathtaking. Says Benjamin : “Wow, that Eagle is saying, I am the King of this bay so stay away!” I must agree, he does indeed appear quite regal and just as if he’s surveying his kingdom. 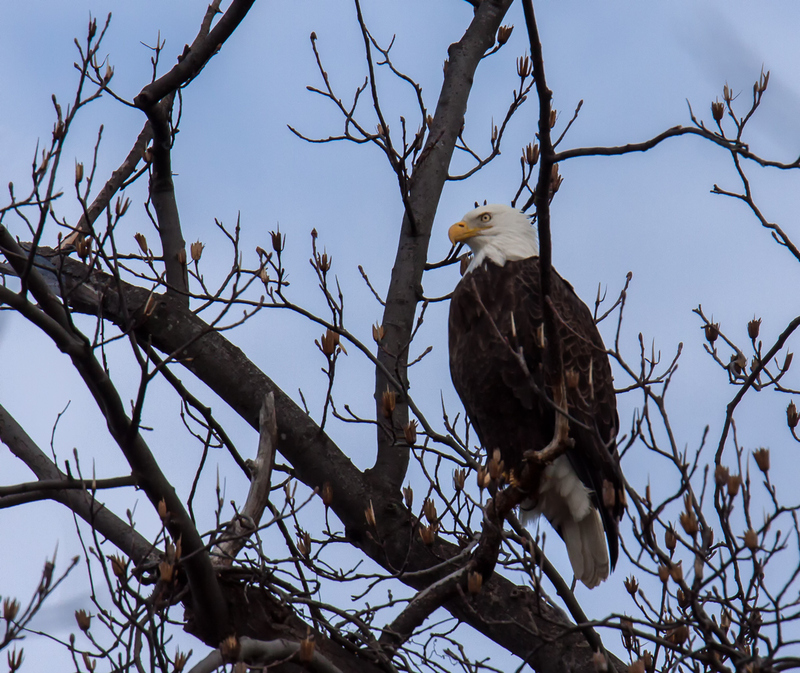 Benjamin was entranced by the Bald Eagle’s eye, beak and pose. Thank-you, Mr. Mike!! Ah, it great to know that Benjamin is still very much attuned to the details of the shots. I had a number or different shots of the eagle with the head turned at different angles and chose this pose because I too though the eagle looked especially majestic. Always great to see an Eagle! Nice capture, Mike.